Subject: News Will Bring You Traffic…And I Will Show You A Cool “Trick” That Will Get You MORE Exposure! What are the sites on the internet that are the most popular and most trafficked? Yes, you are right: the news sites! They are receiving tons and tons of traffic (and exposure, that’s for sure) each second, the kind of traffic that would make you dizzy and melt your server away. It’s no secret that news ALWAYS will be evergreen and will attract attention of the people – and especially on the internet, where they are free. …So that you can literally EXPLODE your traffic and get the exposure that your blog deserves. Wouldn’t it be great to get more traffic and buzz in your blog, and increase leads, subscribers and sales? Aren’t you sick and tired of refreshing the counter only to see depressing traffic stats? Well, I am offering to you that RIGHT NOW and much more! You see, not very long ago I was suffering from the same problem that is tormenting you right now: traffic. One day, while I was browsing around, I saw on some news sites that people usually LOVE to share news with their friends – and then, that simple fact struck me. What if I could create a WordPress plugin that could pull news from respected and highly trafficked sites like Facebook or Google and “hijack” some traffic from them? 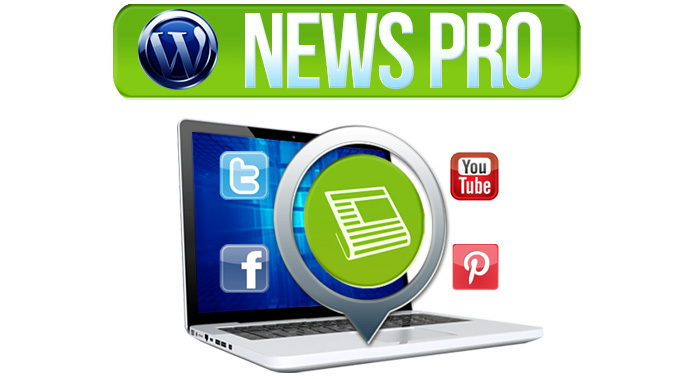 WP News Pro is an easy-to-install, traffic-driving WP plugin that’s completely out-of-the-box – in fact, it’s so simple to use that you’ll laugh! But don’t be fooled by its simplicity, it can be devastatingly powerful as it can pull traffic from search engines and social media sites! This low price won’t be here forever, so it makes sense that you download your personal copy of WP News Pro while you can. I just can’t guarantee that when you come here again in a few days that the price will be the same, so in order to avoid future disappointments I suggest you grab your copy NOW.